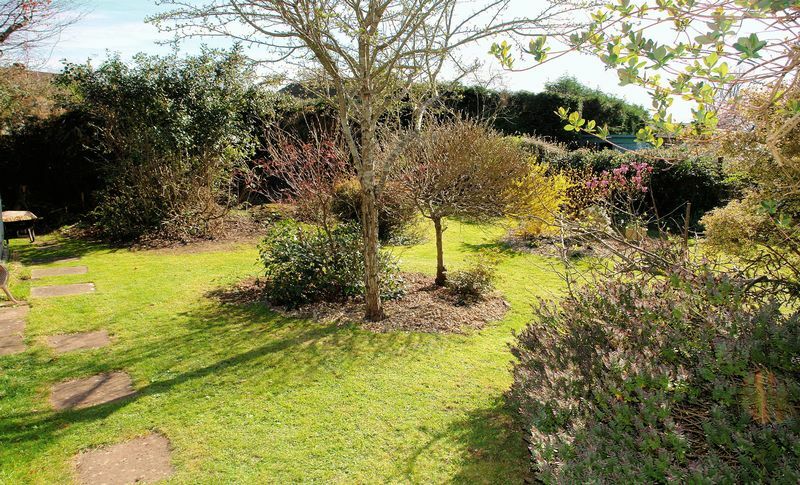 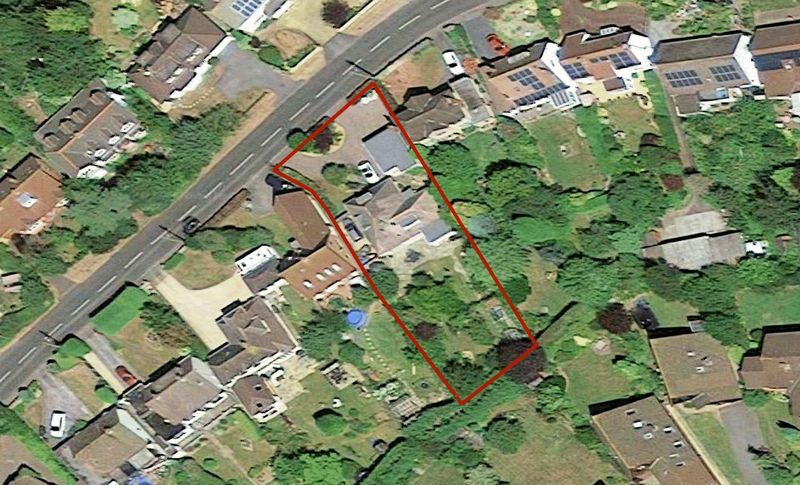 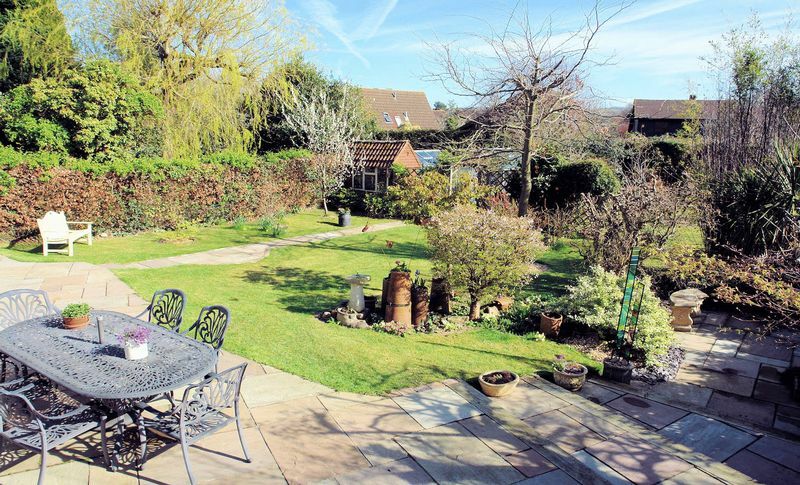 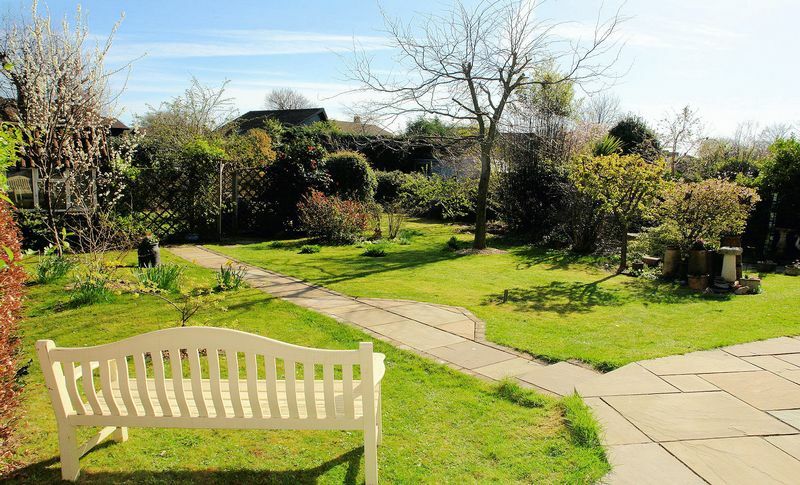 A substantial individual detached 4 bedroom family home offering extensive accommodation and enjoying a particularly attractive setting, standing well back from the road in this highly desirable residential area with charming private gardens extending to almost 1/5th acre in total. 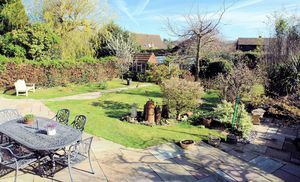 We are delighted to offer this exceptional property that has clearly been a much loved family home for the last 20 years. 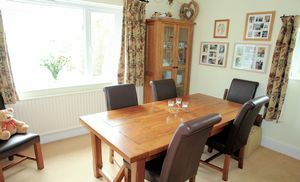 The house is believed to date from the 1950’s though the present owners have tastefully updated the property creating a very comfortable home with the most recent updates having included replacement of the three bathrooms (2 en suite), the kitchen – breakfast room and utility room fittings. 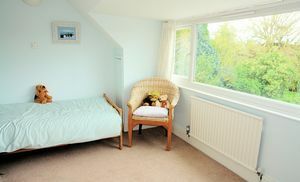 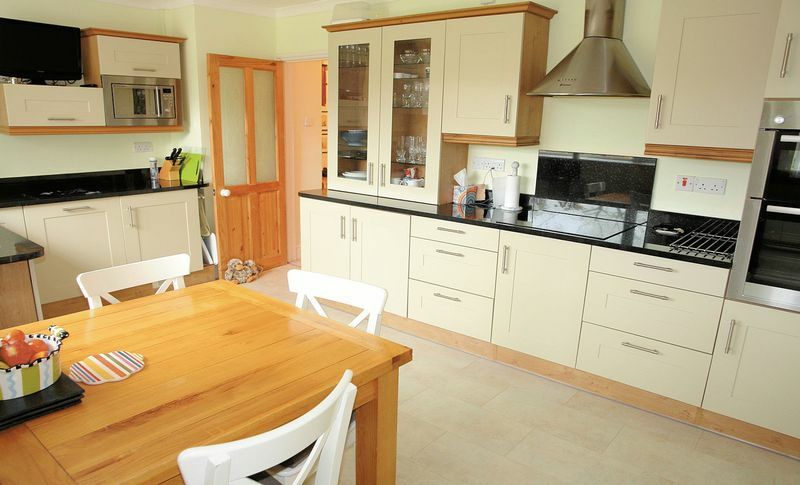 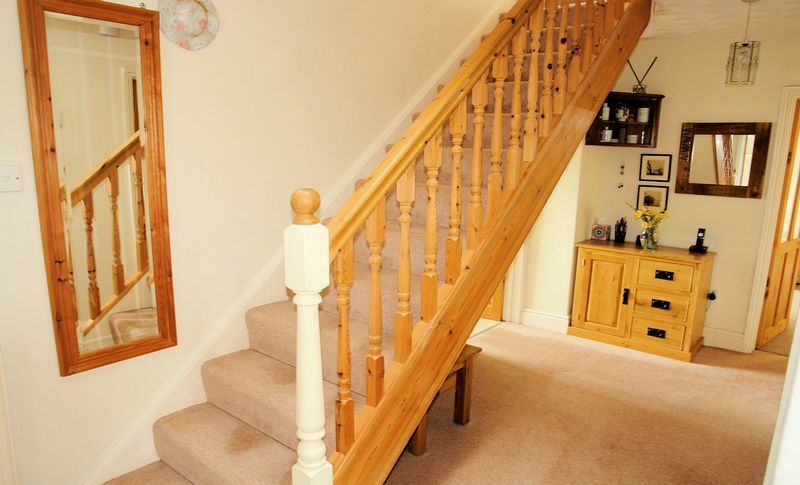 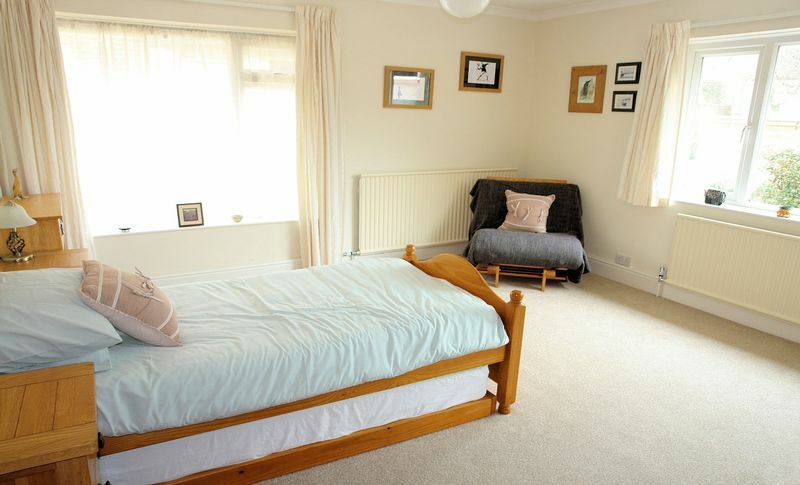 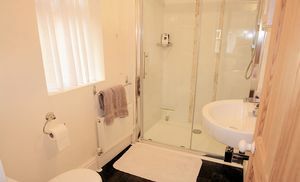 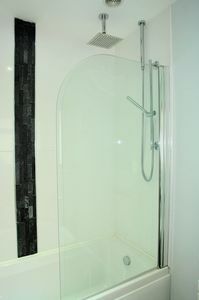 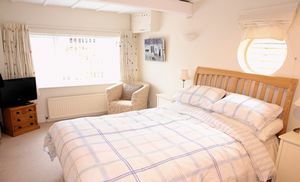 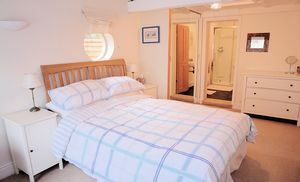 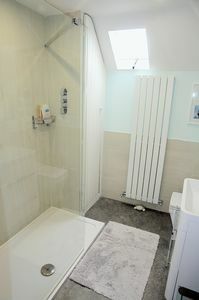 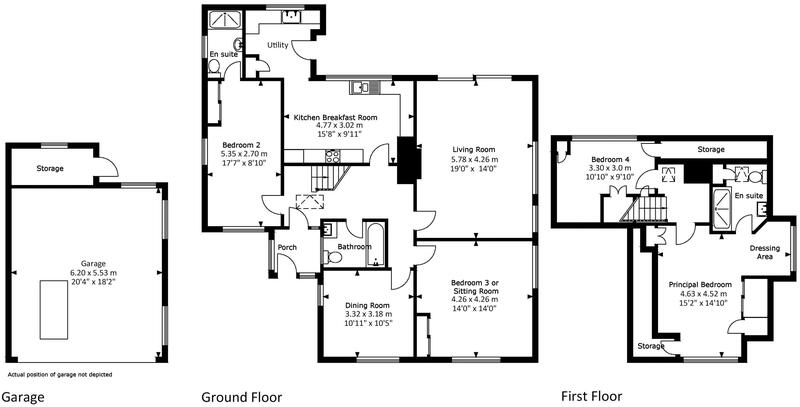 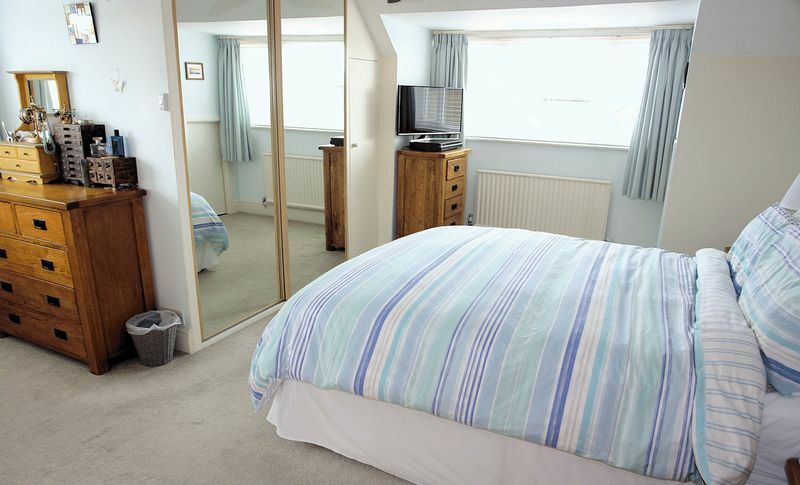 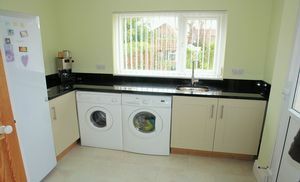 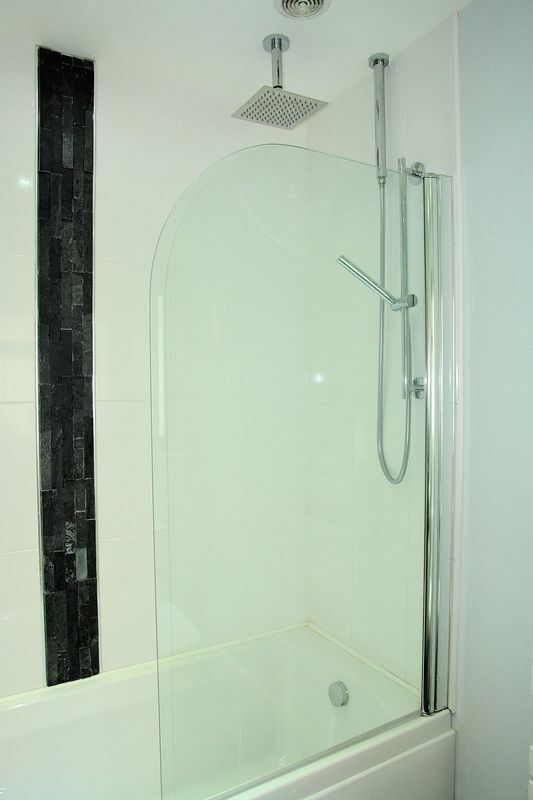 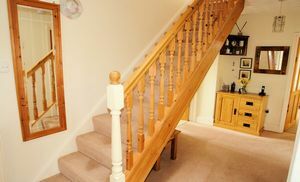 The spacious accommodation has a lovely atmosphere and is light, airy and well presented throughout. 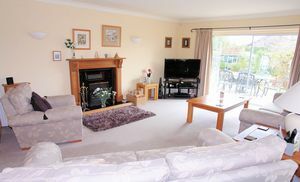 The reception hall leads to all main ground floor rooms with the superb living room and the kitchen breakfast room arranged to overlook the outstanding rear garden. 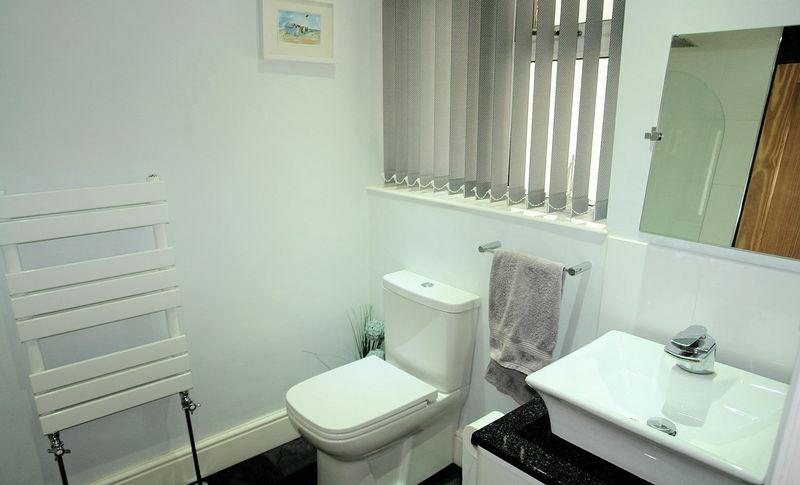 A utility room adjoins the kitchen while off the hall there is a separate dining room, a large double bedroom, a well appointed bathroom and a further double bedroom with a shower room en suite. 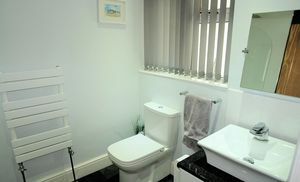 On the first floor there are two further bedrooms with the principal bedroom having a dressing area and an en suite shower room. 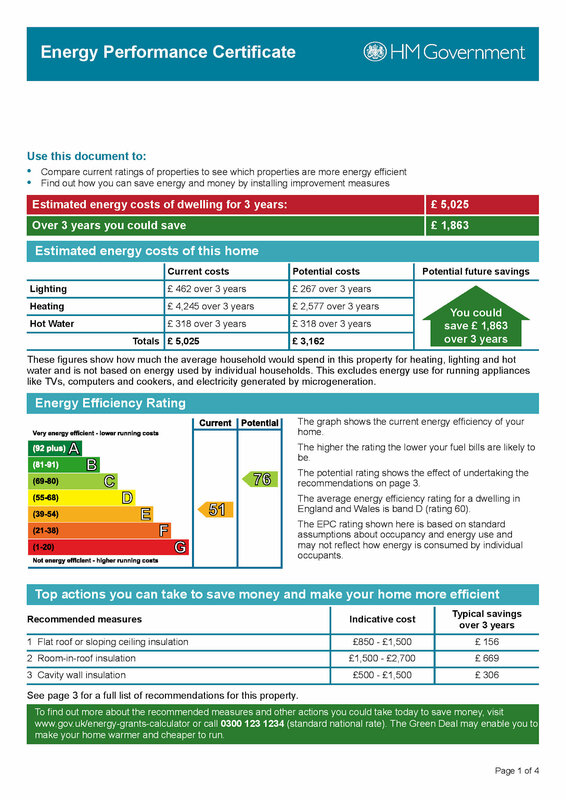 While the living space is already more than ample for most it is felt there is also scope, subject to consent for further enlargement if required since the present owners obtained planning consent for a first floor extension in 2001 (now lapsed) to add bedroom space and enlarge the existing kitchen. 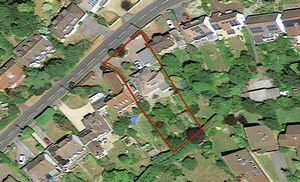 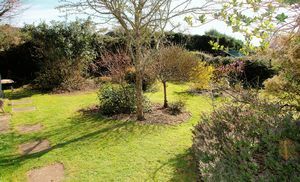 The position of the house is a particular feature with the sweeping in an out block paved drive offering parking for numerous cars and leading to a large detached double garage. 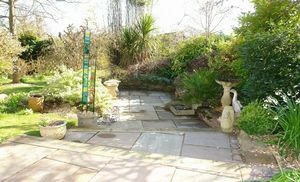 The gardens at the front frame the property nicely and the beautifully planted, mature rear gardens offer good privacy and sunshine all day. Some of the finest individual homes in Nailsea can be found in this very well established, deservedly popular part of the town. 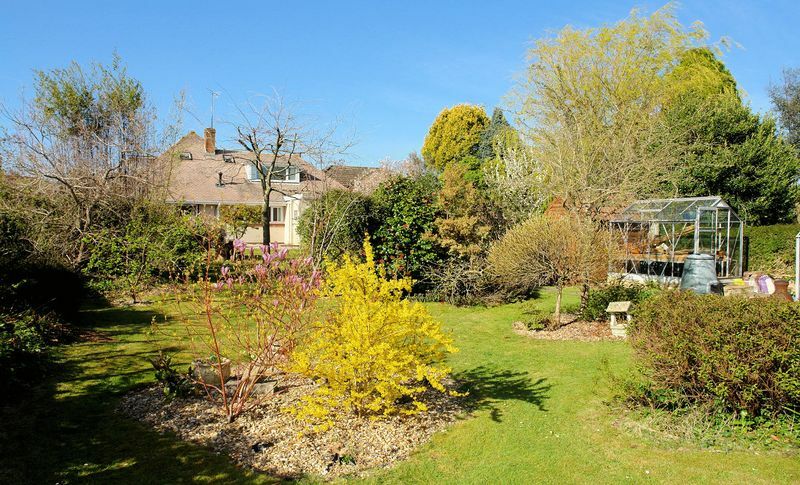 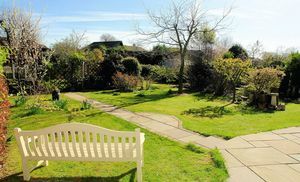 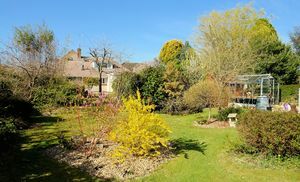 The parkland of Golden Valley and Scotch Horn is close by together with Nowhere Wood and the town centre that is little more than a 5 minute walk away. 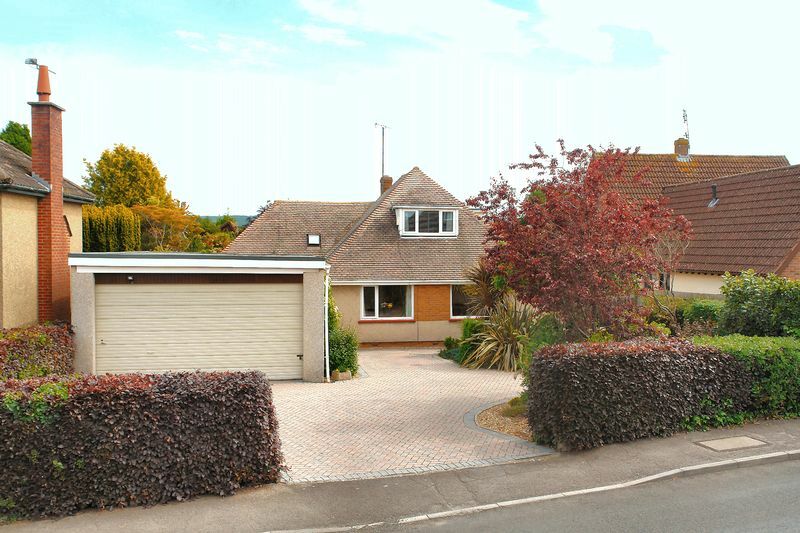 Nailsea enjoys easy road connections to all major centres in the area including Bristol that is just 8 miles away. In addition, junctions 19 and 20 of the M5 are both within 6 miles and the main line railway station offering local and intercity services with direct trains to Bristol and London-Paddington is again within walking distance on the edge of the neighbouring village of Backwell.